Remove the front fascia assembly. Refer to Front Bumper Fascia Replacement. Discard all the old air conditioning seals. 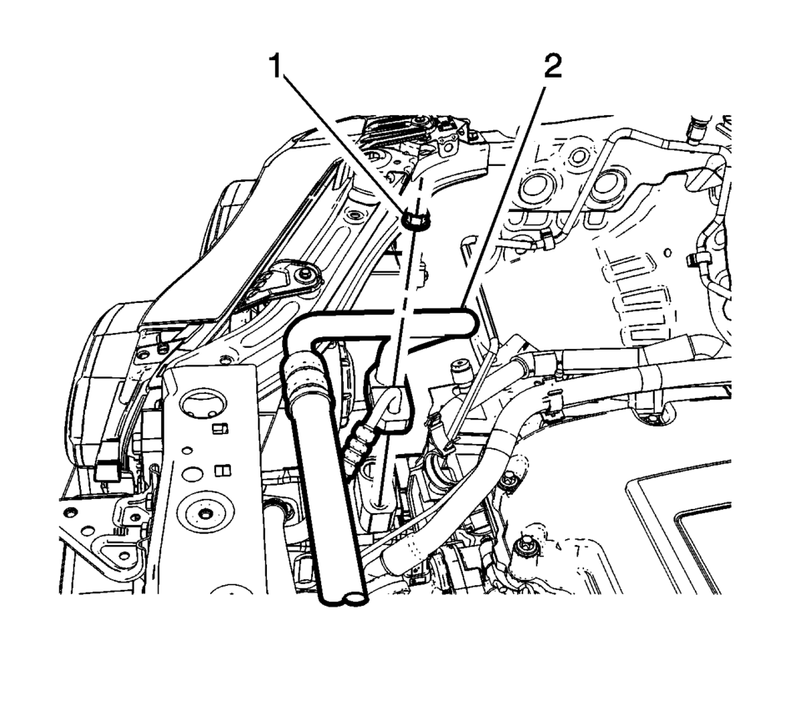 Transfer the air conditioning pressure sensor to the new line assembly. Install NEW air conditioning system seals. 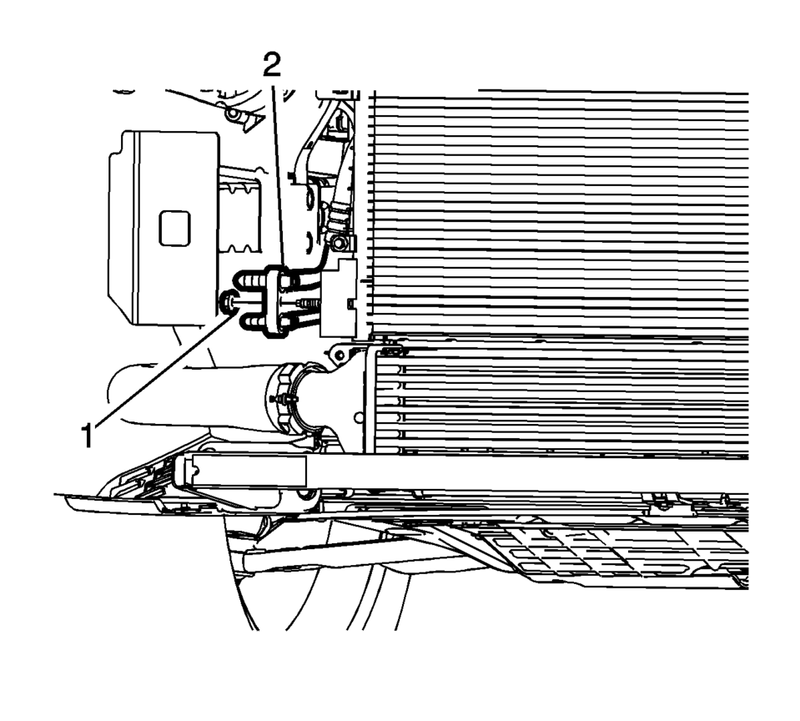 Refer to Air Conditioning System Seal Replacement. 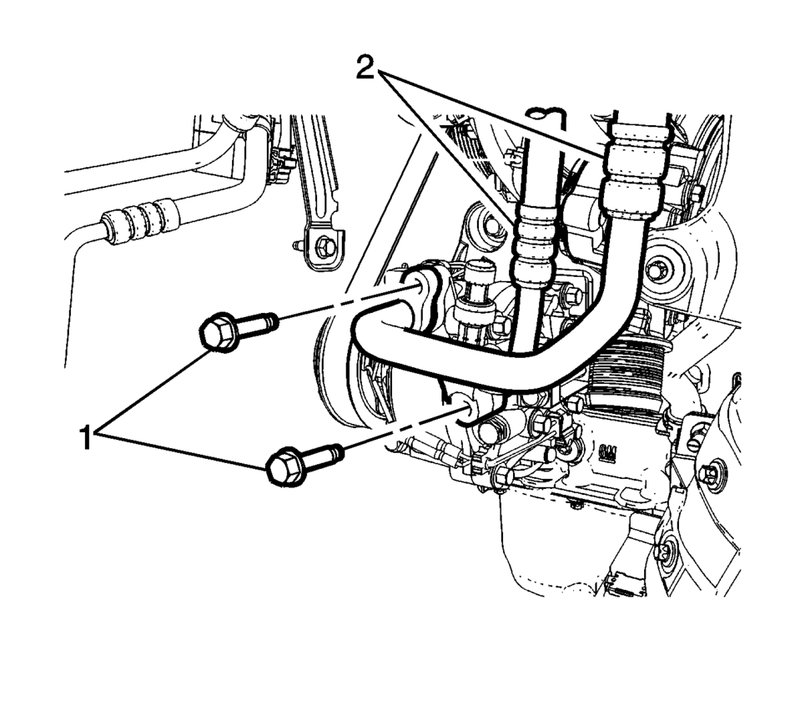 Install air conditioning compressor and condenser hose assembly into the vehicle. Install the front fascia assembly. Refer to Front Bumper Fascia Replacement. Install the drivetrain and front suspension frame skid plate if equipped. Refer to Drivetrain and Front Suspension Frame Skid Plate Replacement. Charge the refrigerant system. Refer to Refrigerant Recovery and Recharging.